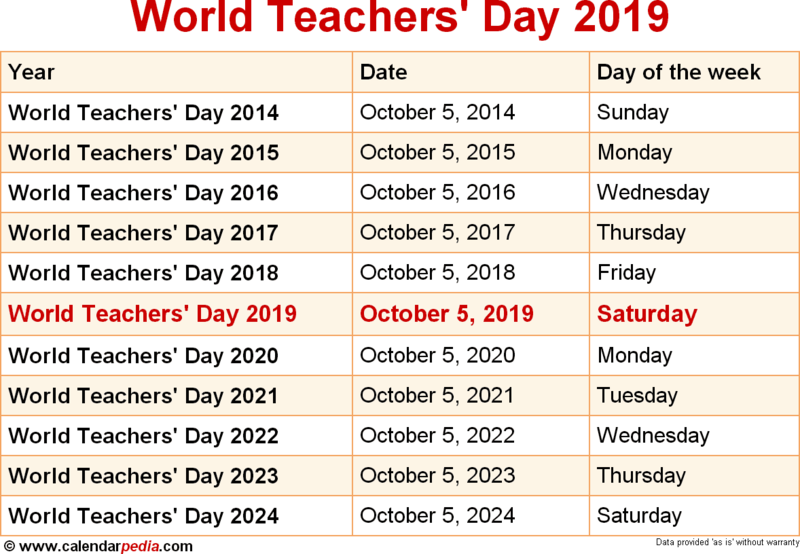 When is World Teachers' Day 2019 & 2020? When is World Teachers' Day 2019? What is World Teachers' Day? World Teachers' Day, also known as International Teachers Day, is held every year on October 5 to honor teachers and recognize their contributions to education and development. Many events are organized on this day (or a day around this date if necessary to avoid school holidays) to emphasize the importance of teachers and learning and to raise the profile and increase the awareness and understanding of the teaching profession and its importance. 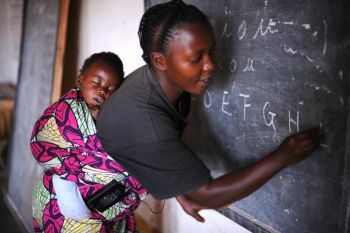 While many countries hold their national Teachers' Day on this day to coincide with World Teachers' Day, there are exceptions, most notably Teacher Appreciation Day in the United States, which falls on the Tuesday of the first full week in May and is the main day of Teacher Appreciation Week. 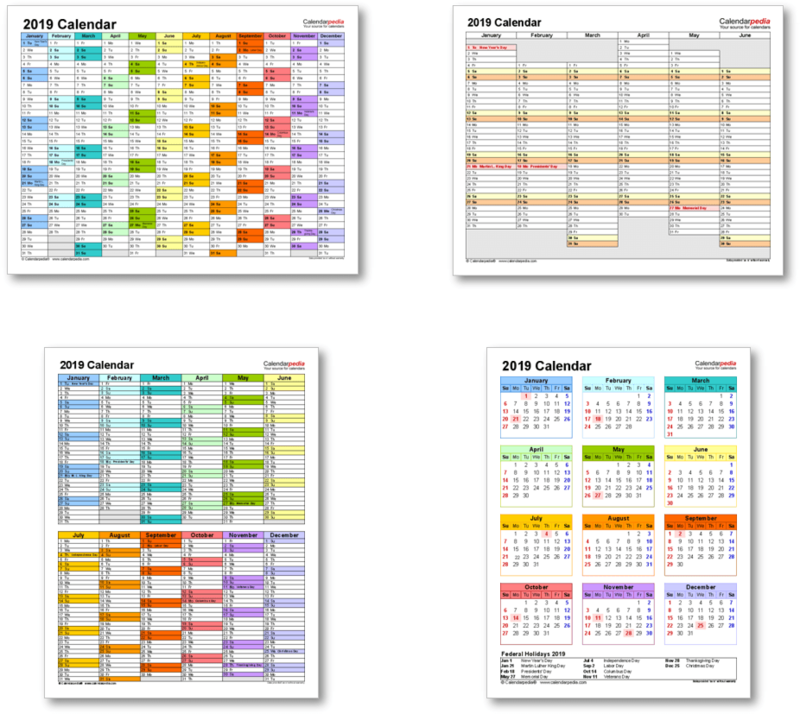 The national Teachers' Days of other countries are spread throughout the year, usually to commemorate an important local educator or a milestone in the development of the country's education (for details see this list of Teachers' Days around the world). 11 countries in the Arab world celebrate a common Teachers' Day on February 28. World Teachers' Day was first held in 1994 at the initiative of UNESCO and has been observed every year since. When is World Teachers' Day 2020? The next occurrence of World Teachers' Day is marked in red.